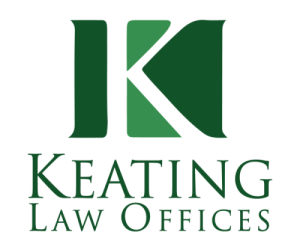 Chicago Bicycle Accident Lawyer | Illinois Bicycle Lawyers at Keating Law Offices: The Legal Definition of "Dooring"
The Legal Definition of "Dooring"
There is no precise legal definition of "dooring." 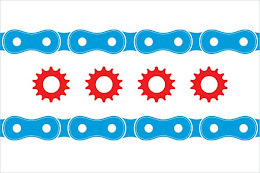 Both the Illinois Motor Vehicle Code and the Chicago Municipal Code address the illegality of not impeding traffic with a car door, but neither address the act of a bicyclist actually impacting a vehicle door due to a negligent motorist. Neither law provides a legal definition of the act of "dooring" itself. Attorney Michael Keating, Chair of the Bicycle Litigation Committee for the American Association of Justice, has proposed the following legal definition of "dooring." The act of opening the door of a motor vehicle into the path of a bicyclist and causing a collision. Examples: "The bicyclist was a victim of a dooring while riding down the bike lane." "Several bicyclists were victims of doorings while riding on the same bike lane." A commonly understood legal definition helps everyone involved in the case including the lawyers, the insurance company, and the judges to understand exactly what it is that a driver does wrong when they open their door into the path of a bicyclist and that bicyclist is injured.